Dr King was one of 58 foreign experts from 35 countries who were last month invited to the Royal Spanish Academy in Madrid by the Duke and Duchess of Soria Foundation, to discuss the future of Spanish and Latin American Studies. 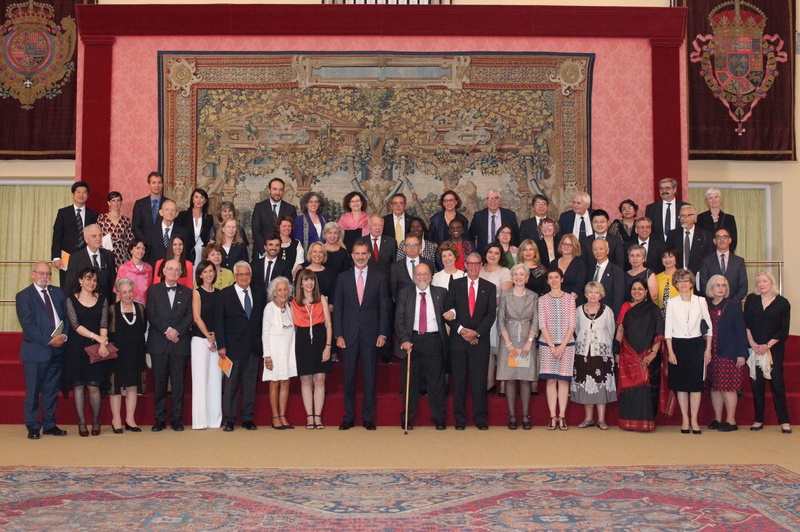 The assembly met at the El Pardo Royal Palace in Madrid, where King Felipe VI highlighted the enormous contribution of foreign specialists, including Dr King, to the teaching and research on Spanish and Latin American cultures and societies. King Felipe VI credited the group as “authentic cultural ambassadors” for their promotion of the Spanish-speaking world in their own countries and also applauded them on enriching Spanish and Latin American societies and cultures through their research. Dr King was the only Catalan Studies academic invited to participate in the event, which he said was an “incredible honour”. “The discussions we had on the future of international Spanish and Latin American Studies will help guide the future of Spanish and Latin American Studies worldwide,” Dr King said. Dr King's Spanish research was first established through his work on the construction of Catalan identities in literature written in both Spanish and Catalan, and later, the role of crime fiction in post-Franco, democratic Spain. His book, Escribir la catalanidad. Lenguas e identidades en la narrativa contemporánea de Cataluña (Tamesis 2005), employs post-colonial theories to develop a substantial and controversial re-evaluation of Catalan authors who write in Castilian (Spanish) that challenges how Catalan literature is conceived. His major contribution to the field of crime fiction from Spain has been to theorise the connection between popular fiction and the construction of competing national and cultural identities in crime novels written in Castilian (Spanish) as well as Catalan, Galician and Basque.